The Brazilian striker had never played for clubs outside Brazil until now. Brazilian striker Leandro Damiao da Silva has arrived here to finalise his move to Real Betis. He is expected to commit until the end of the current season with a contract that can be extended for three years. 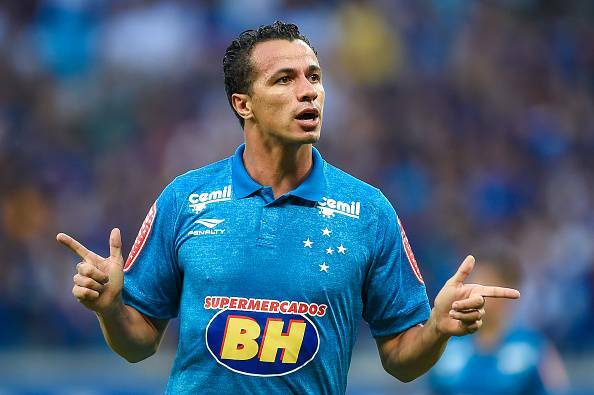 Damiao comes from Brazilin club Cruzeiro, with which he ended contract in late 2015. He arrives at Betis on a free transfer and said on arrival on Monday that he is "very happy" to play in La Liga, reports Efe. A delegate of the Betis first team, Victor Antequera, received the South American striker and accompanied him to the club offices, where he will sign after a medical examination. The Brazilian striker, 26, had never played for clubs outside Brazil until now, having started his career at Internacional, with which he won a Copa Libertadores and a Recopa Sudamericana.